What is driving the “One and Done Syndrome” for PIs (Principal Investigators)? This part 2 of the article brief series explores the challenges of industry requirement standardization, competency domains, PI perceptions and strategies for success. The FDA Requirement 312.53 (a) advises sponsors/CROs to “…select only investigators qualified by training and experience as appropriate experts.” However, there are no guidelines that define the specific training and optimal parameters for experience. This makes it problematic for physicians considering the role of a PI to fully understand the details and intricacies of the position before becoming part of the clinical trial process. Delineation of key responsibilities and tasks can furnish clarification, impart points for further discussion and add context to challenges managed by industry professionals. PIs report a number of significant barriers to continuing with clinical research. “Most people fall into clinical research, they don’t plan to go into it. We can advance the workforce by raising clinical research as a career option to attract new and diverse talent,” offered Jim. of Marketing and Strategy, ClinX. PIs will have a greater chance of success with an understanding of clinical research demands, the integration of strong work-flow processes and expectations of sponsors/CROs. of Clinical Research Professionals and Elvin Thalund, Director, Industry Strategy, Oracle Health Sciences. Learn more about the "One and Done" syndrome by listening to our webinar and for other resources, please visit https://clin-edge.com/. Article Brief covers the “Addressing the 'One and Done' Syndrome in Clinical Trials” webinar presented by Joan Chambers, VP Marketing & Strategy ClinX. Authored by Joan Chambers, VP of Marketing & Strategy and Melissa Daley,Content Marketing Specialist. of our unique companies offer a focused vision in building platforms and ecosystems to drive innovation to our clientele and patients. 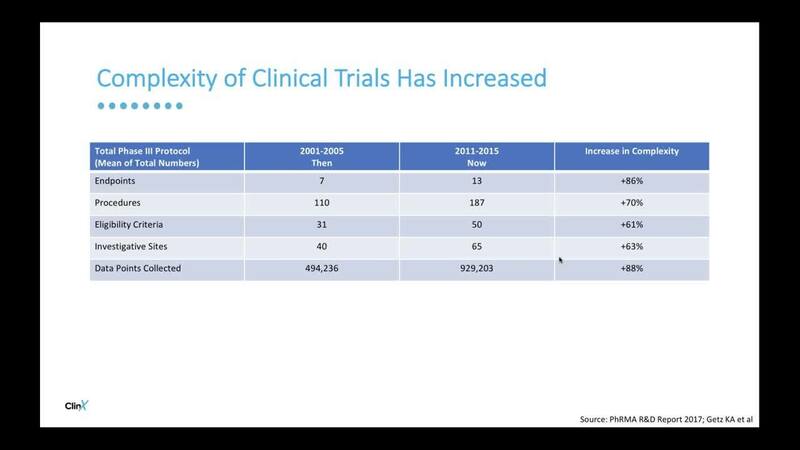 advance clinical trials as a healthcare option. With 20+ years of experience in the health life sciences, Joan is responsible for planning and managing the marketing and sales strategy for ClinEdge, BTC Network and GuideStar Research to further propel the growth in the clinical research industry.